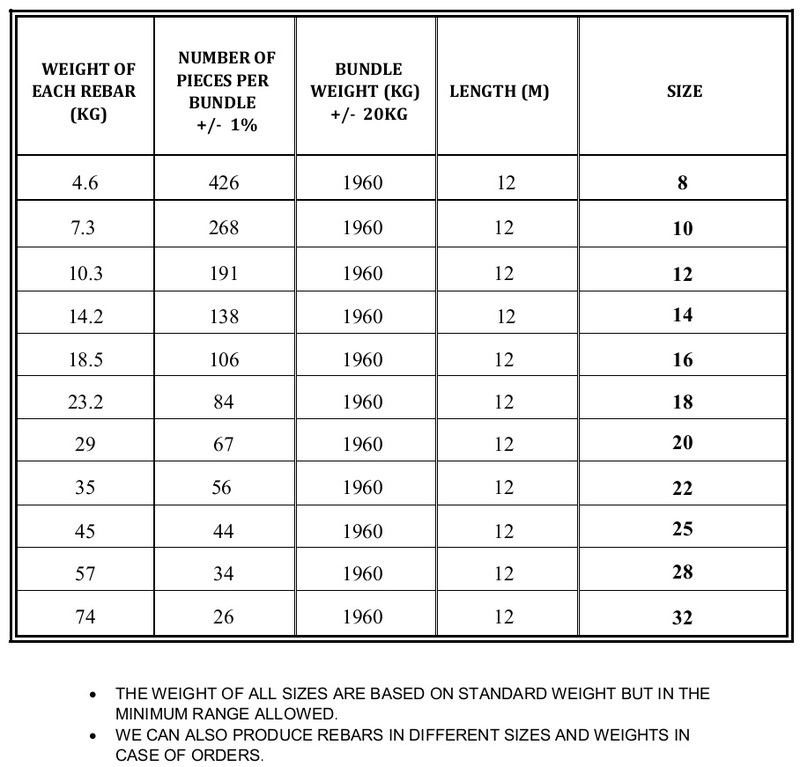 Products of South Rouhina Steel Complex are varied into plain and reinforced bars with sized from 8-40 (mm) in production and sizes 5-16 (mm) in Wire Rod form (in near future). 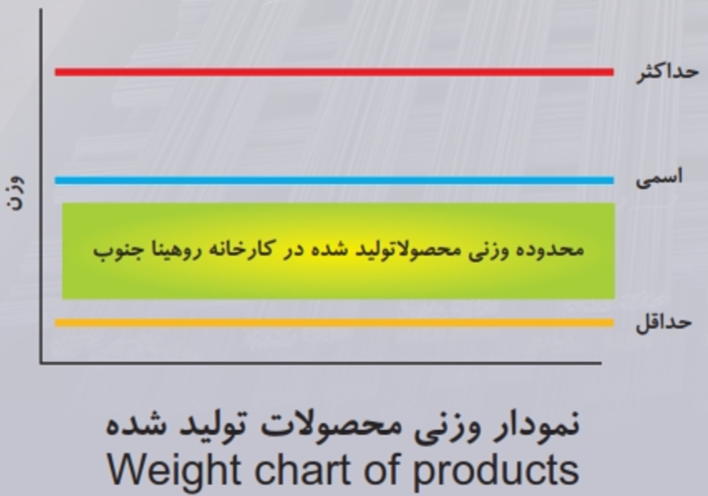 Iran National standard 3132-ISIRI, ASTM (American Society for Testing and Materials) A615 United States, and BS 4449 United Kingdom. 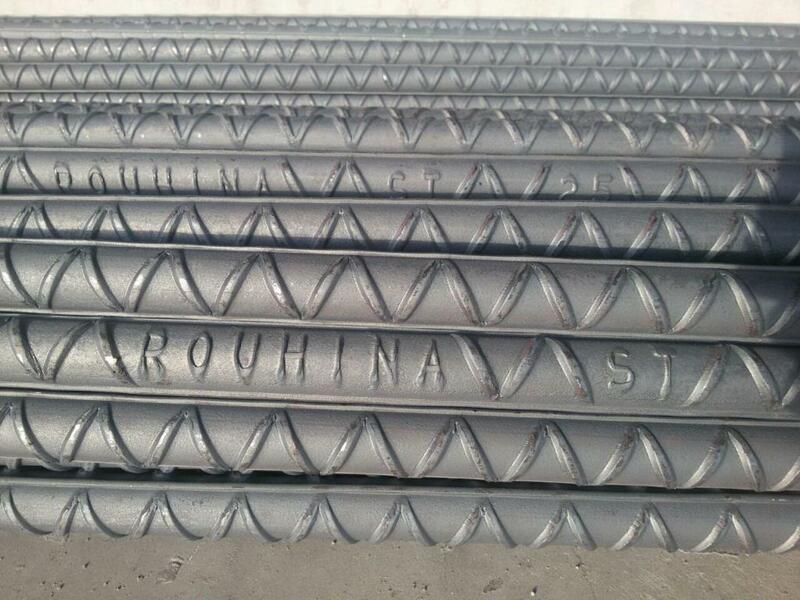 One of the prominent features of the South Rouhina products, in addition to the high strength, can be used to highlight the standard lightweight of each rebar unit. Today utilizing modern technology of rebar production, especially advanced and new generation of QTB (Quenching system), producing high strength ribbed bars, defined in Iran National Standard as (tread 500-composite) is possible. Amendment No. 1 of National Building Regulations 3132, revised in 2013, allows the use of this type of rebar in construction projects if in full compliance with terms and conditions. The use of A4 rebar with yield point 500 & 520 (Mpa) which are referred to as “tread 500 & 520 rebar” in Iran National Standard, has been approved in the design and construction of various reinforced concrete (except for shear walls and arcs) building under certain conditions.